I’m back on avocados again and can’t get enough of them. They make a great filling snack on their own – I put a little oil and black pepper on half then just scoop it out with a spoon – or spread on rye bread or chopped into a salad, the list can go on. Obviously one delight with avocado is guacamole, which is very easy to make: one ripe avocado, juice of half/whole lime, dried/fresh chilli, fresh coriander. Mash up the avocado with a fork (this is why you need a ripe one) and squeeze in the lime juice. Chop up the coriander (or parsley if, like me, you don’t coriander!) and mix in, add a little chopped chilli to taste and season with salt and pepper. Done! 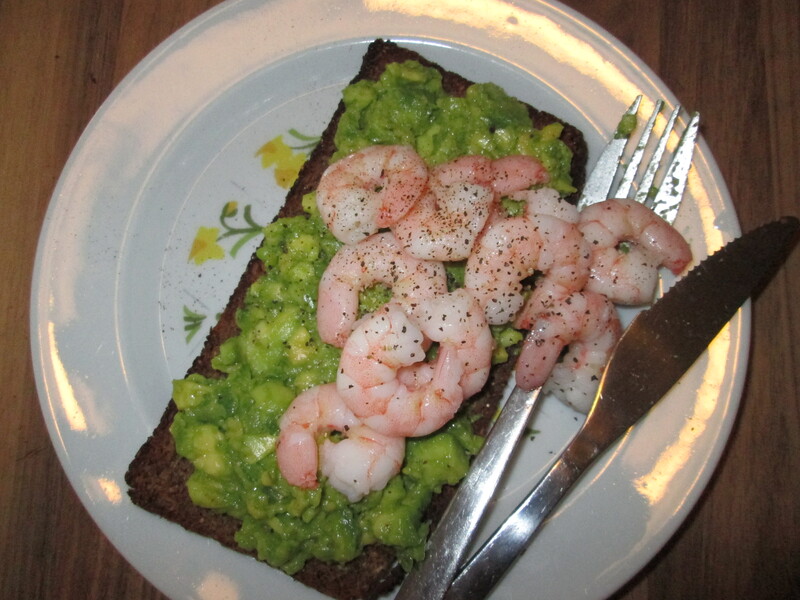 Avocado and guacamole goes great with seafood so add it as a side to prawns as a starter or for lunch.. 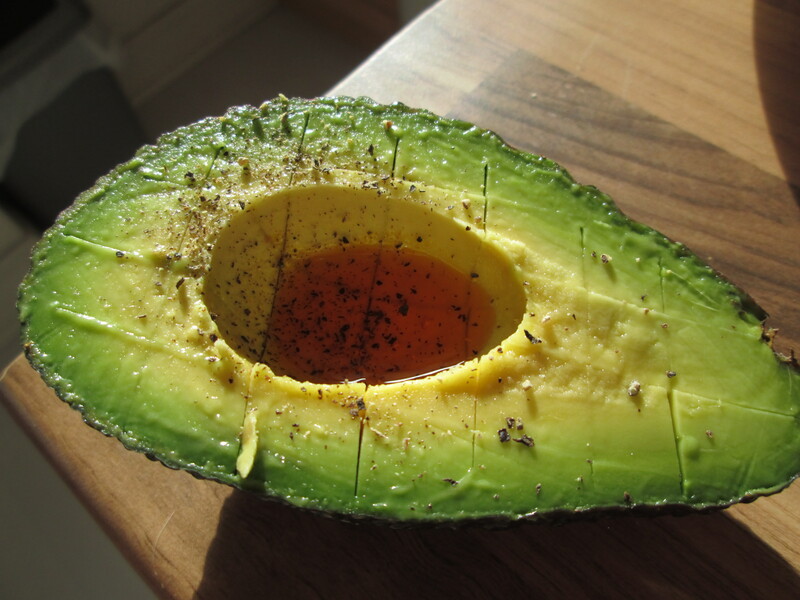 The avocado is rich in monounsaturated fat, which can reduce the “bad” LDL cholesterol in the blood. Avocados also contain plenty of vitamin E for healthy skin and heart function, lutein for the eyes and magnesium for the heart, along with vitamin C, B6, folate, iron and potassium. 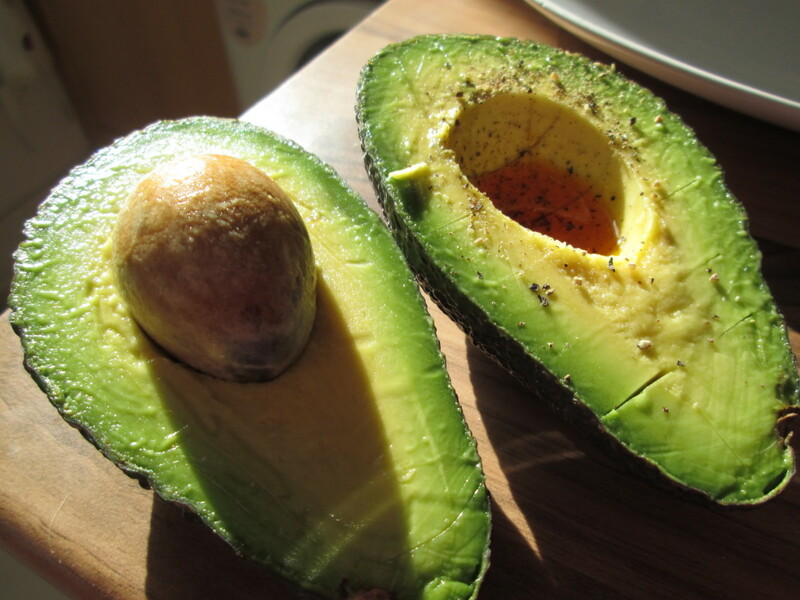 The antioxidant plant chemical beta-sitosterol helps to lower blood cholesterol, and this is found in avocados too. Because they contain a lot of fat, avocados also pack a calorie punch, so be mindful of this if your goal is to reduce calorie intake. Posted in Good foods, Healthy eating, Recipes and tagged avocado, food, guacamole, health, lutein, magnesium, monounsaturated fat, nutrition, oleic acid, potassium, seafood, vitamin E.